Transport Minister Nitin Gadkari recently chose to stick his neck out when he said that India has the potential to start 10,000 seaplanes. Transport Minister Nitin Gadkari recently chose to stick his neck out when he said that India has the potential to start 10,000 seaplanes. This, he felt, was possible because India has 3-4 lakh ponds, 2,000 river ports, 200 small ports and 12 major ports that could be used to operate flying boats. The number, however, seems a bit over the top. For one, even in the mature civil aviation sector, the total aircraft fleet of scheduled commercial airlines stands at 492, with 923 more on order. 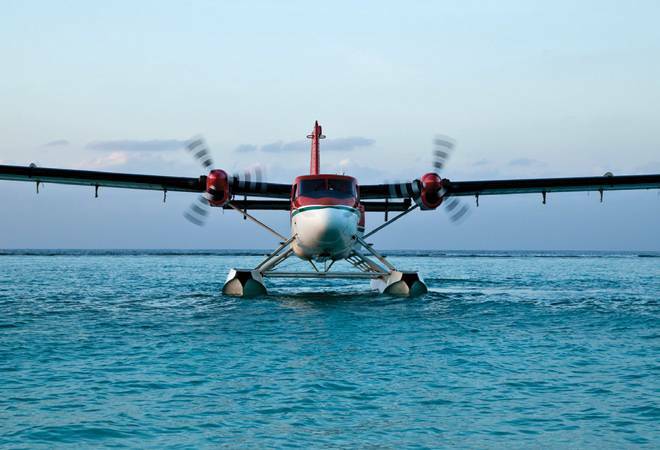 There is an argument that regular aircraft cannot be compared to seaplanes; but if Trans Maldivian Airways, which operates the world's largest seaplane fleet, works with just 49 aircraft, it's difficult to fathom that India will suddenly spawn operators which are bigger than the more established seaplane operators around the world. Meanwhile, taking its cue from the government's intent, SpiceJet has announced that it plans to induct 100 seaplanes in its fleet at a cost of $400 million.